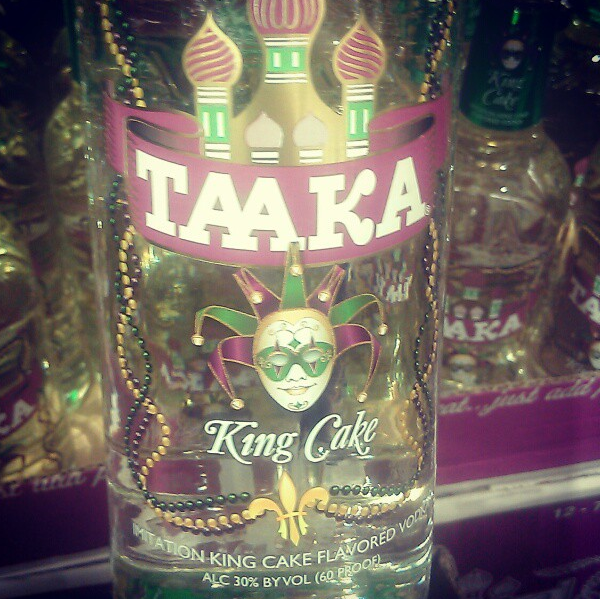 Taaka’s king cake vodka continues to tempt us. It’s a sweet, flavored vodka found at nearly every grocery store this time of year. Last month, we offered up two cocktail recipes from Rouses (see them). If you don’t have access to king cake-flavored vodka but you still want a king cake cocktail, try this one from GoNOLA.com. And today, we heard about a new recipe: king cake vodka Jello shots.